First degrees in Mathematics, Economics and Management and Computer Science at the Technion. 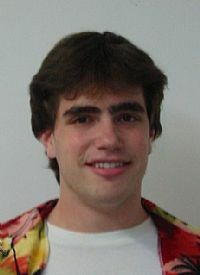 Participated in the Technion Excellence Program: 2001 – 2006. Yoni studied a tri-degree program and included advanced and multi-disciplinary courses in his curriculum, without taking preliminary courses needed for them. Recommendation to Program participants: "Enjoy your studies, live your life with a smile. Follow your heart". Today (2018): Yoni works as a Data scientist at Madlan.